We are a small company offering a bespoke garden maintenance and design service. We are located in Camberley, Surrey and established since 2004. We maintain gardens in Camberley, Lightwater, Chobham and the surrounding areas. 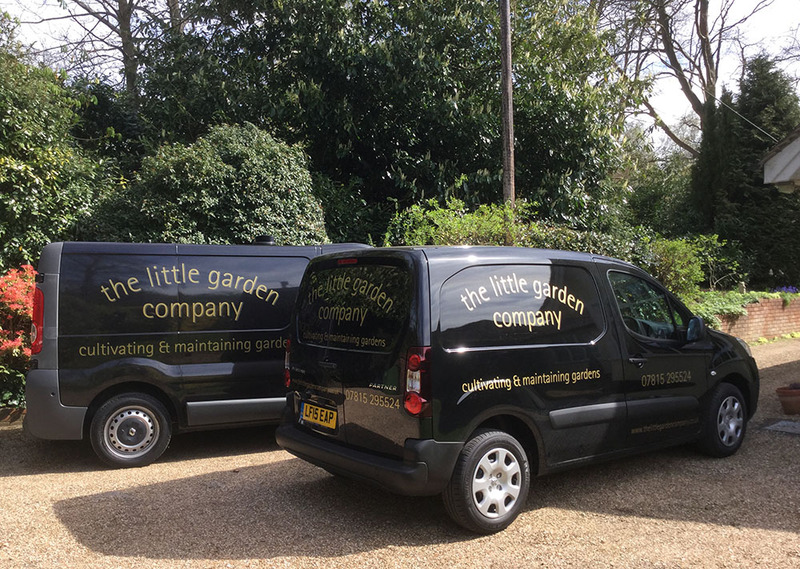 Using our experience and professionalism we offer a reliable and efficient individually tailored service to suit all our clients’ garden care needs. Please call Ingrid Low to discuss your requirements. Ingrid low has been looking after our gardens in Upper Chobham Road for last 9 years. She does all the maintenance to the lawns, vegetable garden and greenhouses, and all the hedging and pruning. Over the years she has undertaken structural works to walling, paths and pergola. We have always been pleased with her work and have found her and the team to be reliable and conscientious. We have no hesitation in thoroughly recommending her company.